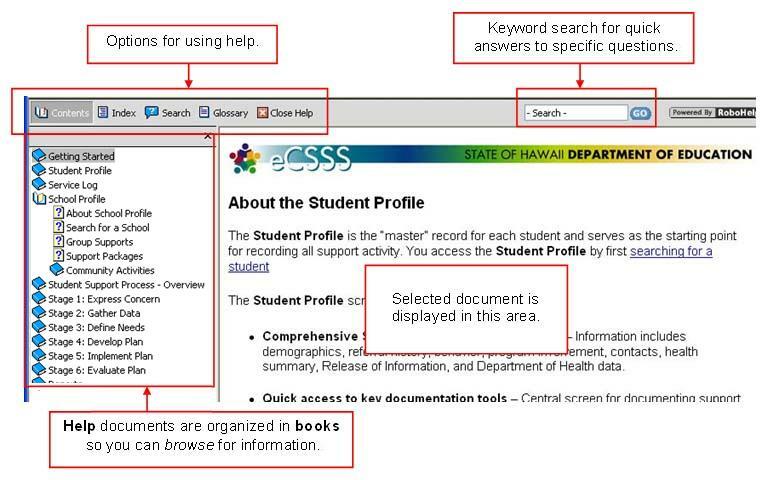 The Help Index provides step-by-step instructions for using eCSSS. 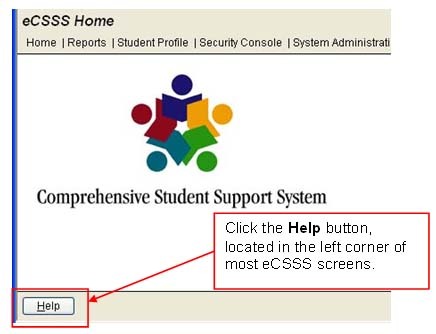 The Help Index opens in a separate window from the eCSSS screen. Here's an overview. To browse help topics, click on the Contents button in the top left corner. Click on icons to browse through topics. 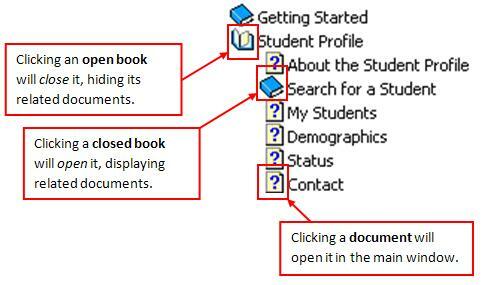 Most instructions are organized according to the Student Support Process (SSP) stages they belong to. Each section begins with an About … document that provides an overview and definitions for the topic. This is followed by more detailed instructions for the topic. Hold the <Alt> key while pressing the <Tab> key, then release both keys to toggle back and forth between two windows. Hold the <Alt> key while pressing the <Tab> key multiple times to locate the appropriate window. Find the document you wish to print. On your mouse, click the right button. Click the Close Help button.